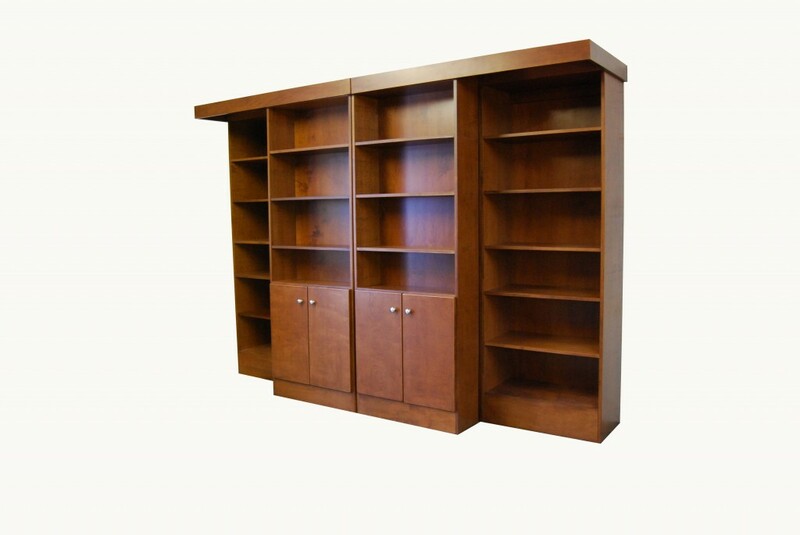 Create the ultimate home library and maintain the utility of a Murphy bed all with one piece. Blending function and style naturally, the Library Murphy Bed provides a centerpiece for your room that is not only beautiful, but practical furniture piece for your home. 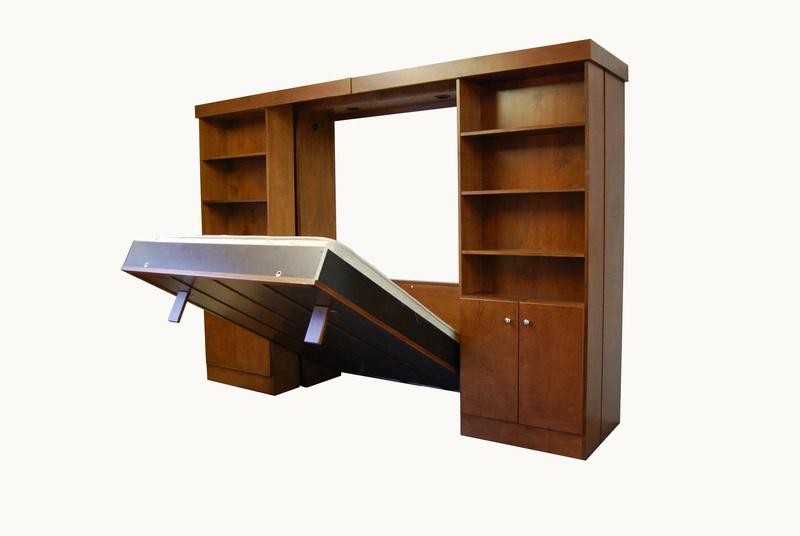 Library shelves slide open to reveal to reveal a fully functional Murphy bed. With the Library Murphy bed, you have the functionality of four bookcases perfect for storage and display, as well as a comfortable place for guest and family to sleep at night.